The Gepids were an East Germanic Gothic tribe who became famous after defeating the Huns. 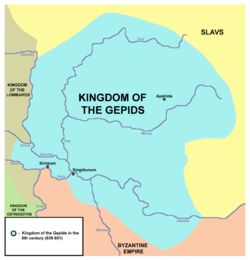 The place where the Gepids lived was called Gepidia or Kingdom of the Gepids. 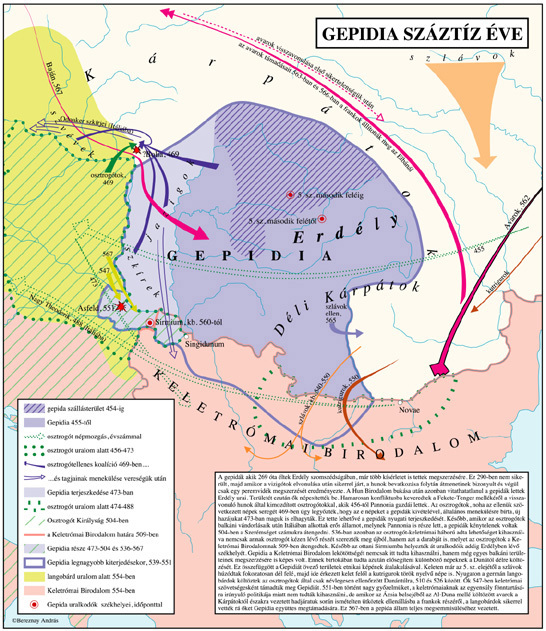 The place where the Gepids used to live contained some of Romania, Hungary and Serbia. This page was last changed on 26 October 2017, at 01:34.